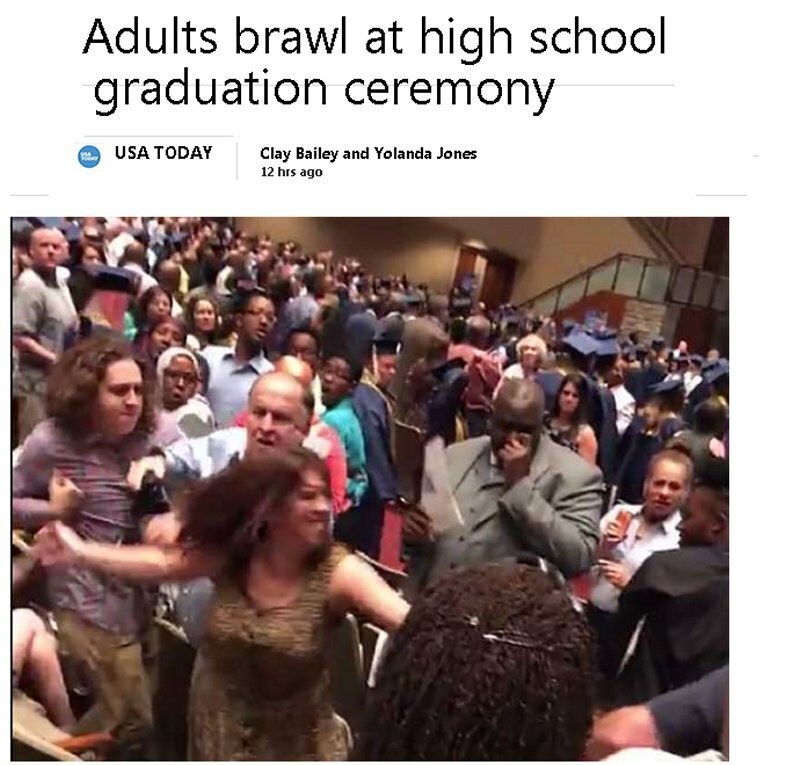 MEMPHIS — A brawl between adults attending a high school graduation in Tennessee was captured on video and is making the rounds on social media. 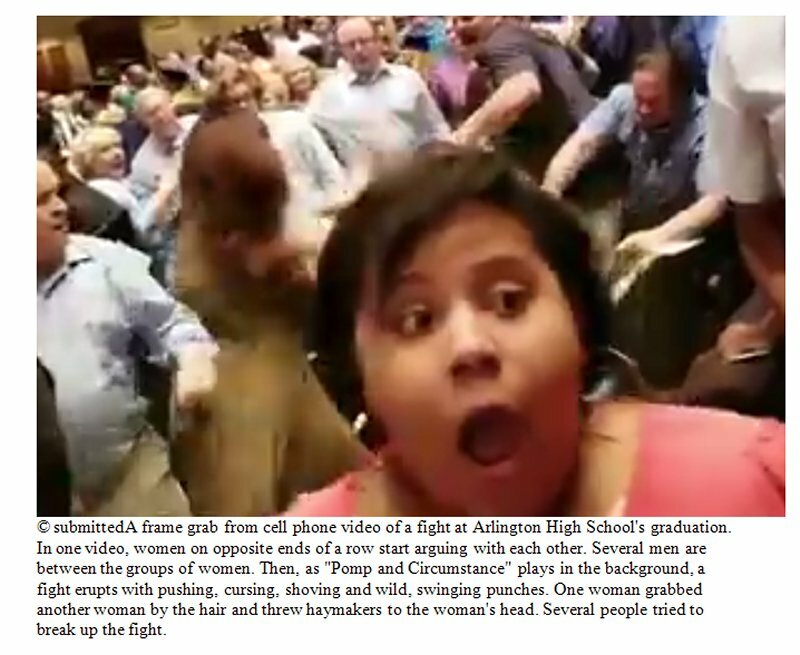 As Arlington High graduates marched into the Bellevue Baptist Church sanctuary in suburban Memphis on Tuesday night to cheers and high-fives, several adults in the audience were fighting a few rows away in a fist-throwing, hair-pulling, water-pouring, shoving fracas. No students were involved. Initial reports indicate the whole wild affair may have resulted from an age-old problem for big events — saving seats. “We didn’t do anything but sit in seats they said weren’t ours,” one woman says in a video. Near the end, one woman was handcuffed, but it is unclear if anyone was arrested. In that video, some of which is unintelligible, the woman who was pulling hair and punching is handcuffed lying on the floor of what appears to be the church lobby. Another woman in the video is advocating for her friend, saying the man standing over the woman on the floor did not identify himself as security, did not show a badge and was not in uniform. The Shelby County Sheriff’s Office said deputies did not respond to the fight, and that the church had its own security there. Jim Barnwell, spokesman for Bellevue Baptist, referred all questions regarding the incident, including the status of the women, to the Arlington school district. “We just provide the building,” Barnwell said.